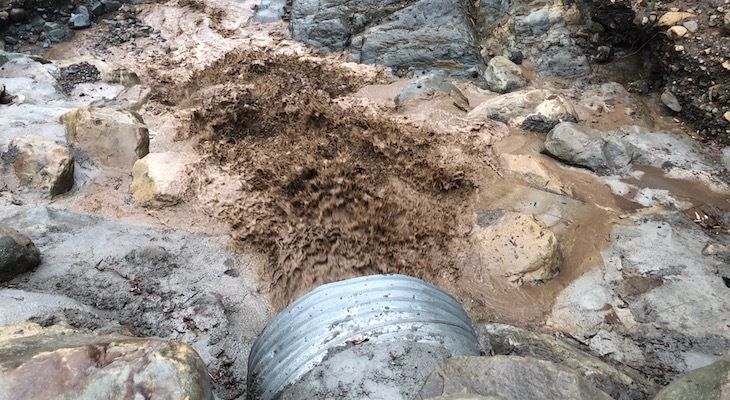 Montecito area creeks held up without any flooding during the latest round of rain. They weren't tested as originally forecasted when the storm totals tapered off as the system passed through. Some of the debris basins were flowing swiftly with brown water from the hills where the Thomas fire burned in 2017.There were no reports of large quantities of debris or boulders in Montecito, San Ysidro, Buena Vista or Romero Creeks. One resident on East Valley Road was shoveling dirt to clear a path for runoff water coming from the street towards Buena Vista Creek. She says she has asked for help on the problem for months but has not seen a response.